I think it's smarter to go stationary, especially with young kids. Those recliner mechanisms can take a finger off like nobody's business if the kids get to horsing around and playing with them, and sticking hands in the mechs while another plays with the buttons...etc. There is no safety stops in the recliner mechs. I did a video on that which is posted here on the forum showing how easily the mechs can snap a pencil. Kids will be kids, and they are not always a good mix with power recliners. Safety First. Recliner sofas are VERY hard to move, so if you are planning to relocate, they are much more susceptible to damage in handling and the weight of them is about double of stationary. In your room I'd go with a sofa, and then a single recliner off to the side. Get a manual one, kids are far less likely to play with those as there is no button to push. 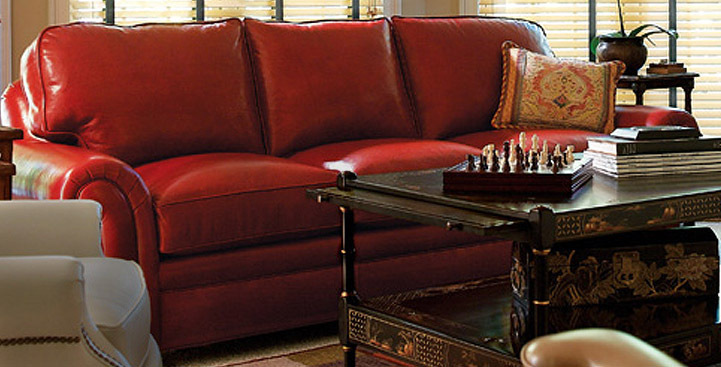 A nice ottoman out in front of the sofa make sense, you can keep the cost down considerably by just getting a single Ricki or Arrington ottoman made for the chair. Though a longer one will look better, the chair-size one will do the job for two people to use. H&M will build you a custom length one, too ... so you can take the chair size one and have the length / width / depth extended if you like. Those are all done via custom quotes. No need to worry about sun damage in particular (having said that UV rays take the color out of everything over time). 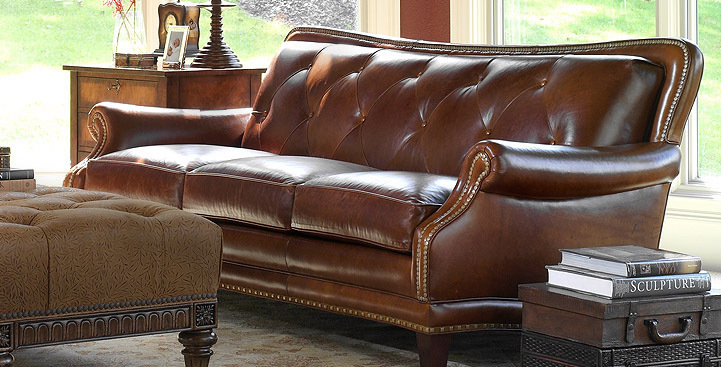 Arrington Sofa is a bit more than the Ricki, mostly due to the nail trim and picture frame effect on the back. Last edited by drcollie; 02-11-2019 at 12:15 AM. I agree with Duane, just a regular three cushion sofa and then recliner in the corner between it and the aquarium will do well. 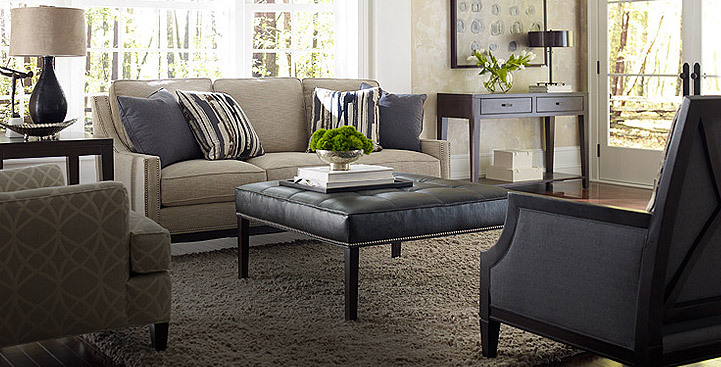 Going with a gray sofa is pretty neutral, and so is the rest of your furniture, so you have lots of options for ottoman color. Take a look at your local Craigslist to get an idea for what is out there. For the best comfort I suggest getting one that is 48", since the Ricki has 75" of inside space. We have this one for our three cushion sofa and I wish it was a little bit longer. Just my two cents, but I wouldn't rule out the larger City Sofa, either, unless it is really out of the budget. I went with the smaller City, and really would have preferred the larger at the time. It isn't only longer, it is deeper as well. It turns out I love my sofa, and it fit my space, and me since I am not that tall. But the larger one would been even more comfortable for the occasional nap, lol. From my own experience it was just about 1000.00 more, maybe a little less, where I priced them, in a grade 2 leather. Also, you can always pair any H&M sofa with a Bradington Young recliner in a coordinating leather and make up some of the money you spend on the larger sofa by buying a good but less expesnsive recliner. >Anyone familiar with the two and any recommendations regarding comfort & practicality of sofa with ottoman + recliner? >Durability conventional chair vs recliner? >The style of ricki and ghent is fairly contemporary in both cases, with the arms in the ghent being a bit different. Any thoughts about how well/ bad it'll combine with the ricki sofa? 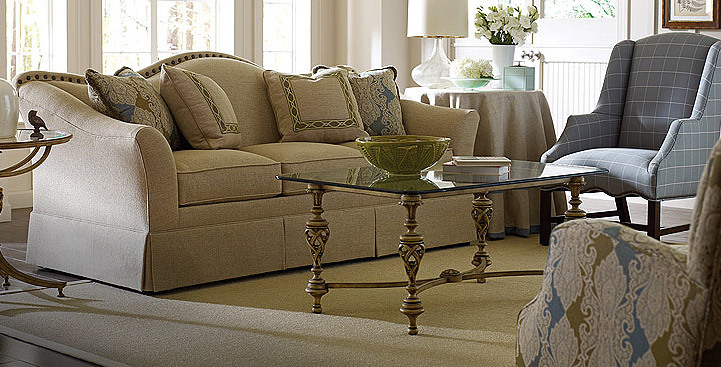 >For the ottoman, the ricki is only 27" and we need something larger for the sofa, so a used one is an option and other ones from H&M that we liked were the relic ottoman and the cole cocktail ottoman. We like the versatility of the cole (50" wide plus doubles as table) but since it's 22" high and the ricki is 20.25" I'm assuming it'd have to be adjusted to 18.25", not sure if this is a good idea and how much it'll cost. With the relic, the height is 17" (maybe low?) but it's "only" 42", we'd like to have a longer one, would also look into the option of modifying this one. Any input would be helpful regarding practicality/ comfort or cost/ whether it's a good idea to custom order these or any other options (model) that you can think of. >We like both juno dove and light blue, with the blue we would have to pick a different color if going with the Ghent. Also we have children (5 and 7 yr old) not sure if we should be concerned about going to a darker color. Any thoughts? >Regarding the ottoman, since we have more options, any thoughts about what colors would work? 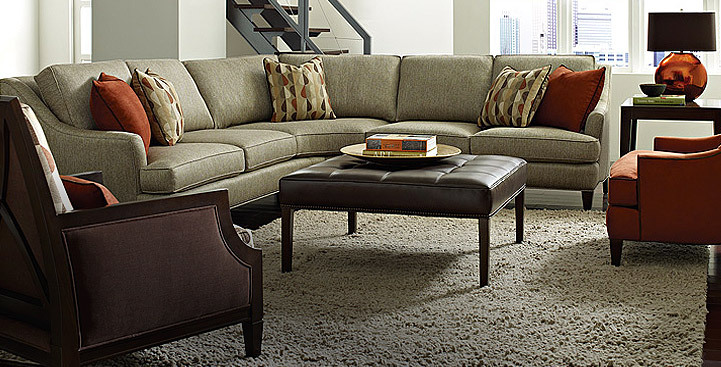 For TV watching, the Ghent Recliner will blow away the Ricki Chair for most. Will be a good mix with the Ricki Sofa. Conventional chairs are stronger than any recliner, however if you don't abuse the recliner there will not be any issues, I have had a H&M recliner since 1986 and its still going strong. Juno Soft Blue outsells the Juno Dove about 4 to 1. Both are nice, the Blue seems to be a bit more pleasing.